Does organic matter if we're talking about nicotine? Organic certification is no joke. It is expensive and difficult to create a product that’ll pass the USDA’s rules. (The mere fact that they are stringent doesn’t make them necessarily correct or even good, but certainly they’re a better guideline than nothing at all.) 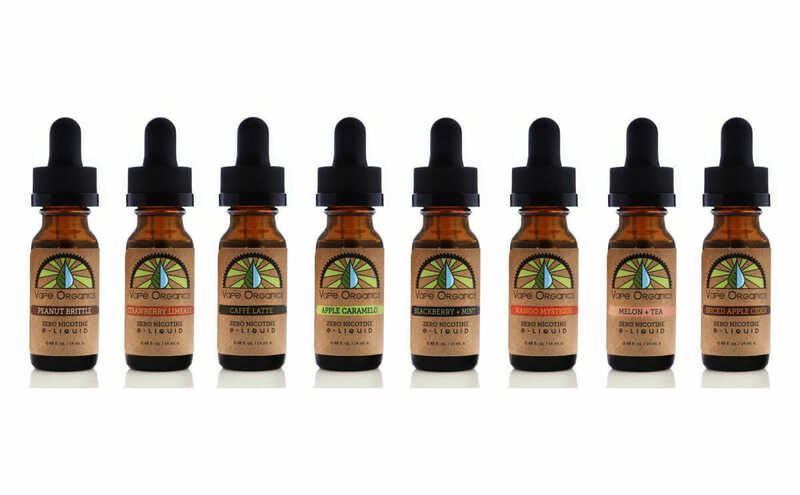 Vape Organics makes the liquids that you put into a refillable e-cigarette. The company already has a zero-nicotine certified organic vape liquid, which is mostly made of vegetable extracts and organic extracts*, but this new certification (according to documents provided by Vape Organics, the USDA certified these on May 28; the USDA apparently has yet to update its own website by the time of this writing) crowns the first vape liquid containing nicotine to be certified organic. Certified organic cigarettes have existed for years. American Spirit, for example, makes a variety of organic cigarettes. In terms of safety, there’s basically no difference, according to research from Stanford University: the fact that the tobacco in these cigarettes was grown without genetic modification or fertilizers doesn’t negate the fact that they’re, you know, still cigarettes. But vaping, at least theoretically, removes a lot of the dangers from the combustion of tobacco, so why not go the whole nine yards and remove any health hazards from conventional tobacco farming? At least, that’s what Vape Organics says. On the other hand, research is contradictory about whether organic food is healthier for people than conventional food. That’s not necessarily a knock against organics; organic food might taste better, or protect against the dangers of monocropping, or keep farmland soil full of nutrients, or any of a dozen other possible advantages that don’t include whether the food is significantly healthier for humans. Vape Organics’s tobacco, which, Ryngler tells me, is grown somewhere in the Midwest, might not be any healthier for you to vape, but that doesn’t mean it’s necessarily a worthless distinction. * Correction: Vape Organics tells us there are no sweeteners in their products. We apologize for the error.